His environment didn’t help his cause in the beginning, but Adam stood firmly by his goals and lost 65 pounds. His triumph propelled him to help others in need of fitness coaching! 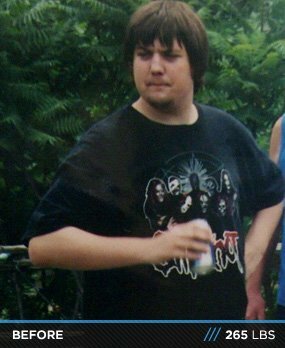 I was severely overweight and weighed 265 lbs when college started. I knew it was time for a permanent change. Personal motivation, intense dedication, and goal setting transformed me from being severely overweight to extremely healthy. It gave me the confidence and knowledge to help others. Possibilities exist that we don't know about. We have the ability to do better and be better. The greatest waste is a failure to recognize what we are and what we can become. My goal is to help people get in shape and transform their understanding of life and its infinite possibilities. With the right mindset, methods, and motivation, anyone can accomplish anything. After my first semester of college, I received a free gym membership through my police course and took advantage of the opportunity. My friend and I didn't miss a workout for two months, which was when he decided to quit. I was left with two choices: to quit or continue by myself. I decided to keep going and have been going strong ever since. There were days I felt like quitting. I thought, "It's just one workout. It won't hurt. But one workout missed is another day longer to my desired results." If I can't get motivated by looking in the mirror, I watch bodybuilding videos, turn on an awesome song, or look to my idol, Aziz Sergeyevich Shavershian. He's a great inspiration and it's a shame he passed away, but his legacy will live forever. My workout plan isn't weekly based. It's a five-day routine that keeps rotating, so my workouts are always on different days. The hardest part is the diet. Being in college with friends who bring insane amounts of bad food around 24-7 forces me to bring lunches for the entire day. Warding off friends who constantly try to get me to party and eat pizza or buffets is tough. I have cheat days, but for the most part I'm strict. My future fitness plans are to join the military and become a search and rescue technician. In the distant future, I want a personal gym where I can train people to be healthy. Helping people gain muscle or lose weight is an amazing feeling. Seeing them smile and thank you is unexplainable. I want to enter and win a bodybuilding competition so I can receive a trophy for all my hard work. To those who are transforming, keep pushing, researching, and training. Knowledge is power. Don't let anyone say you can't do something. Just because they can't do it doesn't mean you can't. Hard work and dedication is the only way to get results. Continue to believe and you'll continue to achieve. To those who think it's impossible, you can do anything as long as you believe. The first step is to believe in yourself. Too many people to count used to tell me I can't lose weight; I can't be shredded; I'll never get muscle. I proved them all wrong and so can you. You can do anything you want. Never say can't, and never give up. If you want something, go get it. There's no better time to start than now. Don't be scared. I have a quote I thought of myself, and basically what it says is don't be afraid. If you are, you'll limit your possibilities. 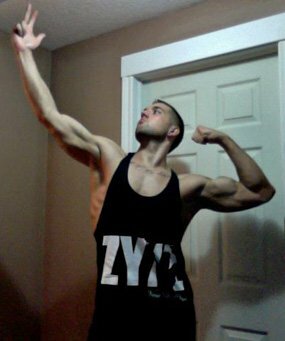 Bodybuilding helped me in numerous ways. I shop with Bodybuilding.com because the supplements are cheap and great quality. The endless supply of information is sweet. If I need to know anything, Bodybuilding.com has an answer. 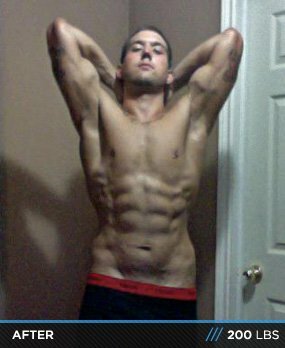 Without Bodybuilding.com I wouldn't be where I am today.